House clearance service covering all of Oxford. 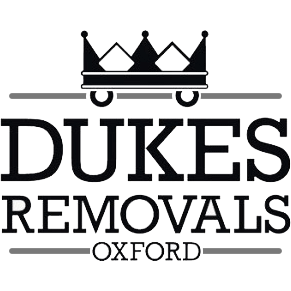 Dukes clearance service provide a reliable and efficient house clearance service in Oxford and surrounding areas. With years of experience in house clearances we can advise you on the best course of action for your clearance. Our staff are aware that some house clearances can be emotional and stressful and so we will try are best to be as compassionate and helpful as possible during the house clearance. We work with estate agents,solicitors and can make arrangements to collect keys. We are fully approved by Trading Standards and a member of their buy with confidence scheme which is designed to combat rough traders who are costing the local council and farm land owners by tipping illegally around Oxfordshire and spoiling our beautiful countryside. At Dukes we take disposing of waste very seriously and try our best to recycle as much as we possible can. We will arrange a free House clearance viewing and make notes on what needs to be removed. We have cleared a number of properties in Oxfordshire and know each one has its own challenge. We can clear a house fully and remove items that you specify, such as carpets, cookers, curtains, clothes, washing machines, furniture and junk.We also clear lofts and attics, cellars, sheds, conservatories, out-houses, garages. We work 6 days a week and cover the whole of the UK. We turn up at the time agreed. We have never let a customer down. Our clearance teams are well trained, fully uniformed, hard-working, trustworthy, thorough and quietly efficient. But they are also friendly and helpful as our customers can testify. Our teams are sensitive to the fact that, in many cases, they are handling possessions that stir strong sentimental memories in the customer. We do not use subcontractors. Do you need to be present? If you cannot attend, we can pick keys up at a suitable place and we can work with your neighbour, solicitor or estate agent. We will provide you with your own invoice which includes our business and tax details. If you wish, we can also provide you with a waste-transfer note and/or waste-disposal receipt. We are fully licensed and insured for all aspects of our house clearance service. All our work is carried out by dedicated, experienced and friendly house clearance staff. We facilitate the re-use of as many of the items we clear as possible, enabling us to offer the most environmentally friendly solution. We offer a delivery and removal service for items being retained by our clients. Dukes provide a discreet and sympathetic service when working with you for bereavement clearances. Notice! When clearing verminous or cluttered properties, we do not simply go into the property and dispose of everything, through years of experience we know what to dispose of and what to put to one side. We tend to clear the smallest room in the house first as this acts as a storage area for items that the customers has specifically asked us to look out for or items we feel have monetary or sentimental value, such as photographs, important legal paper work, jewellery & the like.